IT seems like every time we turn on the television there is another terrorist attack or act of violence. 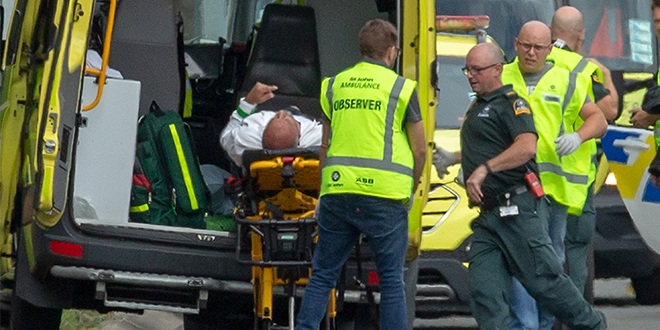 The shootings in New Zealand of our Muslim brothers and sisters have shaken us as we come to terms with the reality that random acts of hatred are very possible on our doorstep. It has become increasingly more evident that hatred does exist in the hearts of some individuals, and yet what remains undeniable is the reality that hate cannot be defeated by hate. It is only love that will heal; it is only love that overcomes fear; it is only love that can unite us to stand against those who threaten violence and destruction. Jesus stood as an example of someone whose witness of love was able to overcome the hardest of hearts. During His earthly life, Jesus told His disciples, “There is no greater love than to lay down one’s life for one’s friends” (John 15:13). Jesus lived His words with His life. People criticised him, stoned him, stripped him and ultimately nailed him to a cross. In turn, Jesus did not retaliate – He simply loved. He loved with His words, and more importantly, He loved with His life. Jesus’ actions reflected what He said and the example He wanted us, His followers, to imitate. Perhaps there is no better season to contemplate Jesus’ love than this time of Lent. Pope Francis reminds us, the reason for Lent is Jesus’ love. Lent is more than an opportunity for our own renewal and conversion. Lent gives us 40 days to walk concretely with Jesus, and to prepare our hearts and our lives for the new life that He promises at Easter. Lent is a perfect opportunity to reawaken the desire in each one of us to be more like Christ, to love as He loved, without limits. Every day we have opportunities to live a love without limits. In small ways, we are often called to die to ourselves and our own desires – when we sacrifice our time for others; when we give up our preferences for the good of someone else; when we serve those in need in our local community. There are so many opportunities we face to lay down our lives for others, so that they might have life. Just like Jesus, each one of us is invited to live our words, to live our faith, with our lives. It’s easy to sit in a church. It’s easy to identify as a believer with those who support us. It’s far more challenging to stand up for our faith in moments such as these when the waves are crashing against our boat and we might be even tempted to think that Jesus is asleep. Yet just as the disciples discovered, Jesus isn’t sleeping. But He is inviting us to trust Him more than ever before and to believe that He can calm the storms that unsettle our world, our country and our Church. Lent is not over. It’s not too late to start anew on our journey of loving more intentionally and becoming better people. Let us not miss the opportunities of Lent this year, but let us use this precious liturgical season to draw closer to Jesus, and to ask Him to teach us how to love. Now, more than ever, our world needs us to commit ourselves to imitate the greatest love of Jesus, and to be willing to lay down our life for our friends. It’s only love that can overcome the hatred. It’s only love that can change the world. And changing the world begins with me.